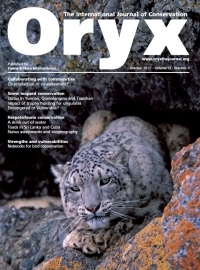 Cotton buds—corporate change leads the way in the UK and Europe The Cotton Bud Project has been featured in the October issue of Oryx - a leading international journal of conservation. 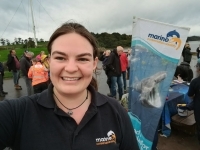 The Conservation News article describes the retailer engagement that has proven so successful in convincing retailers to transition from plastic to paper stems. 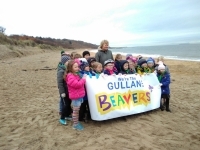 The online article is available to read for free here. The Seahorse and the Cotton bud... The Natural History Museum Wildlife Photographer of the Year awards always showcase astounding photography, and this year's finalists are no different. 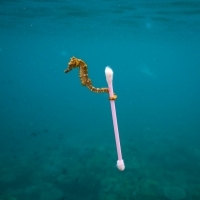 Within the final selection is a poignant piece by Justin Hofman who managed to capture a seahorse wrapped around a pink plastic cotton bud stick through turquoise waters. The image highlights the interaction of wildlife and marine debris that is now commonplace worldwide.